Church is more than just getting together on Sundays. Mark your calendar! Discipleship groups are an important part of our church. Join with two - three other men or women and meet once a week over a book or book of the Bible. It is a time for intentional discipleship, accountability, and spiritual growth. If you'd like more information or a D-group to get involved in, contact Pastor Obbie Todd. Small groups are yet another important part of our church as we build one another up and fellowship together. 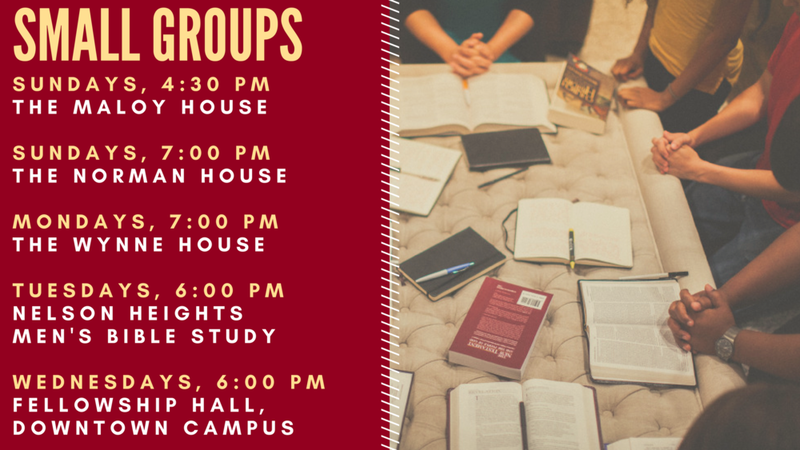 We offer four different small groups on different days. If you're interested, please contact Pastor Obbie Todd. Every Wednesday in July, we will have an evening series called “A Theology of Love.” Join us at 6:00 pm at Haynes Creek for this Bible study.